Definition at line 198 of file llfloatercustomize.cpp. Definition at line 207 of file llfloatercustomize.cpp. References LLUICtrlFactory::buildFloater(), LLPanel::childSetAction(), LLPanel::childSetEnabled(), LLPanel::childSetVisible(), edit_wearable_for_teens(), FALSE, gAgent, LLAgent::getAvatarObject(), gUICtrlFactory, i, LLAgent::isTeen(), LLVOAvatar::mAttachmentPoints, mCheckBoxList, object_attached(), onCancel(), onSave(), S32, LLWearable::typeToTypeLabel(), and WT_COUNT. Definition at line 254 of file llfloatercustomize.cpp. References LLPanel::childGetValue(), LLPanel::childSetEnabled(), LLModalDialog::draw(), FALSE, first, i, mCheckBoxList, S32, and TRUE. Definition at line 271 of file llfloatercustomize.cpp. Definition at line 283 of file llfloatercustomize.cpp. References LLSD::asBoolean(), LLPanel::childGetValue(), first, i, mCheckBoxList, LLDynamicArray< Type, BlockSize >::put(), S32, and WT_COUNT. Definition at line 249 of file llfloatercustomize.cpp. Definition at line 322 of file llfloatercustomize.cpp. Definition at line 307 of file llfloatercustomize.cpp. Definition at line 273 of file llfloatercustomize.cpp. 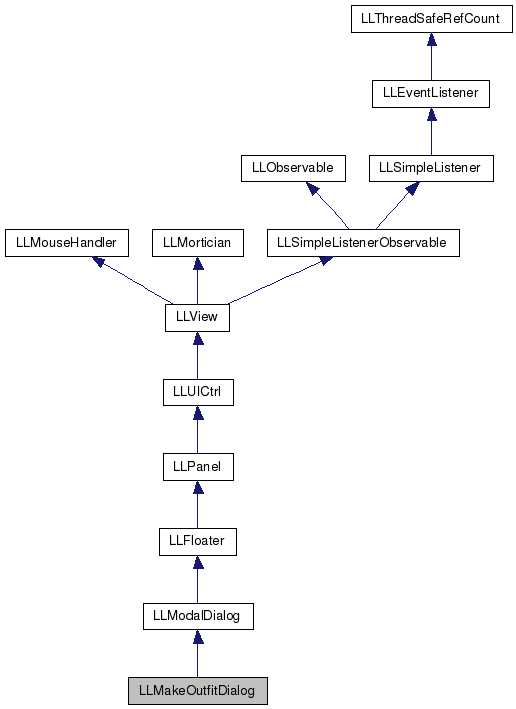 References LLPanel::childSetEnabled(), LLPanel::childSetValue(), LLWearable::typeToTypeLabel(), and WT_COUNT. Definition at line 203 of file llfloatercustomize.cpp. Definition at line 204 of file llfloatercustomize.cpp. Referenced by draw(), getIncludedItems(), and LLMakeOutfitDialog(). 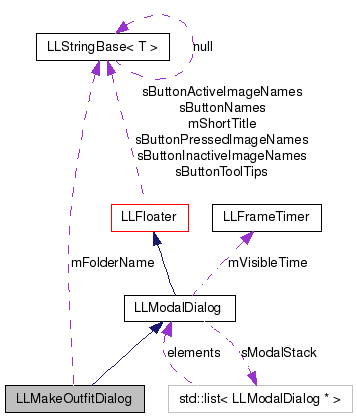 Definition at line 201 of file llfloatercustomize.cpp.